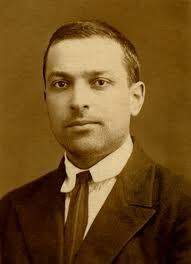 Lev Vygotsky is certainly not a household name, but if you are a parent who talks and talks to your baby, you have intuitively stumbled upon the groundbreaking research territory of this brilliant cognitive theorist. Vygotsky’s study of babies and young children in the early 20th century led him to conclude that the best learning takes place when the learner is guided and supported while taking on something new by what he called “a more knowledgeable other.” Parents help their children construct their knowledge of language by introducing them to new words, and by modeling intonation and expression of voice, facial expression, and hand gestures. So, just by talking and talking, you are drawing your child along in his language learning and cognitive development, supporting his acquisition of new words, and introducing him to all the benefits of communicating with other people. Of course, this communication can start even before your child is born. We know that babies can hear voices from inside the womb, and it is the mother’s voice that is heard most often and most clearly. During the last trimester, your baby will become familiar with the unique intonation, melody, and cadence of your voice. 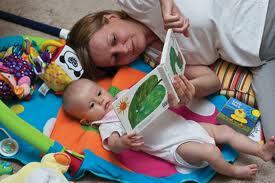 Research shows that the baby in the womb responds to repetition and rhythm, so by reading a poetic story you will be introducing your child to the beauty of language, and to the exciting world of human interaction. Once your baby is born, you can enrich his auditory experience by pointing out illustrations and objects that will help him to assign a visual image to the words he has become familiar with. Reading a rhythmic story to a baby in the womb is also important to his brain development, building the foundation for future speaking, reading, and thinking. Here’s the amazing science that explains why. Months before birth, a baby is tuned in to his mother’s voice and the rhythmic sound of her heartbeat. The developing nerves in the baby’s ears are connected to his brain, and the stimulation caused by sounds creates new neural pathways as the baby grows. When sounds are repetitive, rhythmic, and familiar, the pathways are defined and strengthened. So by reading a story or poem over and over again, you are creating and reinforcing pathways in your baby’s brain, and these will lay the groundwork for continued learning and development. The research shows definitively that babies who are read a rhythmic story regularly in the last trimester, remember and are soothed by the same story after birth! There is no doubt: when it comes to your child’s language learning and cognitive development, nothing comes close to the rich and loving interactions your child shares with you and the other “more knowledgeable others” in his life. So keep talking and talking to your baby, before and after birth. You’ll be glad you did . . . and your new friend Lev Vygotsky would be so proud! Previous postShare your story and win a book!